“Just be yourself”. This commonplace answer to many an existential query implies an absolute knowledge of the self, as if it was an unchanging object we’ve extensively and definitively investigated at some past point in time. And yet we change, not like other objects in the world which show their wear and tear, destined to become ruins: we are always becoming, and in that becoming the seed of difference is in perpetual growth. Difference to oneself, difference to others, the constancy of inauthenticity a perceived obstacle to be overcome, leading to the thought that there is some true core around which every action and thought has an orbit. Rudi Arapahoe’s A False Memory of a Sports Party begins with the premise that said core is composed also from untrue elements, citing psychologist Elizabeth Loftus’ work on memory distortion as a source for inspiration. Loftus has argued that memories are not a direct access to the truth, but that are actually unreliable and ever-changing, meaning that, in a sense, not only is a memory a fickle and untrustworthy thing, but also a reflection of the instability of our own selves. Arapahoe collaborates here with an algorithmic version of himself, an AI of his own creation that he’s named FALSE SELF. This SELF was designed to compose and play alongside his true self, and while we’re going to elude the question of just how much of the artificial musician is actually just Arapahoe himself, the thing is that there are two versions of the artist at play, interacting with each other. Arapahoe processed the whole thing after mixing this particular encounter, distorting, like the liner notes say, the joint effort into a single production. For us listeners, there’s no way to know who’s playing what, or what the original ‘conversation’ sounded like, so this collection of synths and samples taken from 1980s and 1990s tech (themselves a filter of the emulation of acoustic instruments – a remembrance from another time), with its ambient structure and sparse reverbed sounds, is like a path through sounds you’ve heard before but can’t exactly place. There are a few flute-like and string-like sounds, for example, that I’m not sure are meant to emulate which kind of instrument, but that if I had been conscious at the time I might have been able to say with precision which instrument is which. Instead, what I hear are synth strings of an uncertain nature, drums that sound like plucked strings, piano strikes that sound like drums; this swirling indeterminacy is a feature of the instability of the self, the impossibility for any memory to be something other than a neuronal haze. A few voices are integrated into the ambient flow of A False Memory of a Sports Party, all of which speak of past experiences that to any listener will seem eerie at best and suspect at worst, like the voice of a woman who recollects once sinking into the floor. Their commentary highlights the fragility of these sounds’ unity, its authenticity continually at stake. One of Loftus’ experiments pointed at the possibility that memories could be implanted – that is, that a remembrance could be artificially introduced into someone’s mind, the slightly Rorschach-like images of the album art an answer to the idea of the unconscious as truth: it, too, is as made as our consciousness. 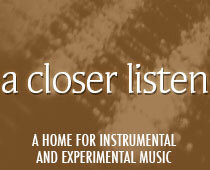 As the soft instrumentation ebbs and flows in different directions at once, the call and response of two different selves, one ‘natural’ and another ‘artificial’, an inversion of the idea of ambient music as richly rewarding layers of attention occurs, in the sense that you’re not going deeper into the music, but simply selecting a different surface. It’s not an act of attentive accumulation, but one of selectivity. Like the cassette in which the album is presented, which turns out is a USB drive, its artificiality, its ambiguity as both cassette and USB, as well as the music’s soft flow along the strange voices that accompany it reflect an utter fragmentation of whatever it is that we consider ‘true’. I wouldn’t be incorrect if I described this artifact as a cassette, nor would I be entirely correct if I just said it was a USB, after all. Rudi Arapahoe played this music, but also an algorithmic version of himself. Is that two different people, two aspects of one, or only one?